Je vais jouer a Daikanyama M! 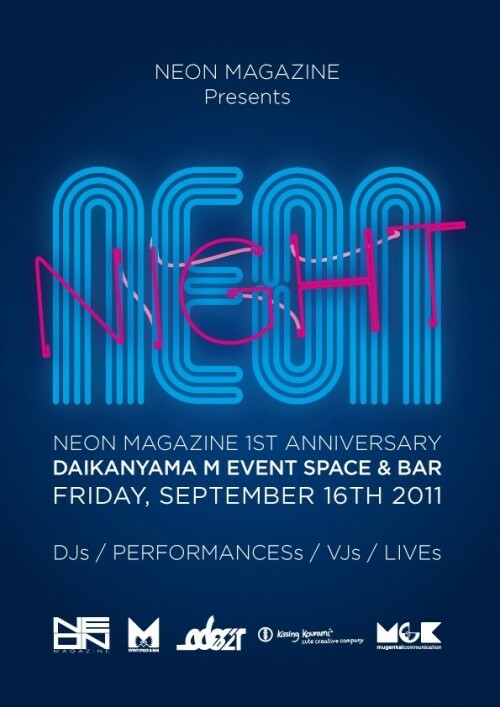 ;-) I’ll play at Daikanyama M on 16 September, for the 1st anniversary of NEON mag, a Tokyo-based magazine introducing culture of Tokyo in French. NEON Magazine, le magazine de la culture et de la création Made in Tokyo, is proud to announce his first event ever, the NEON NIGHT Vol.1, to celebrate his 1st anniversary. Be there, support us and enjoy !